You can follow along in this file before attempting it on your own data. The chart is exactly covering the range E3:L15, this is achieved by placing the chart roughly in position and then holding the Alt Button whilst dragging the corners or edges of the chart. 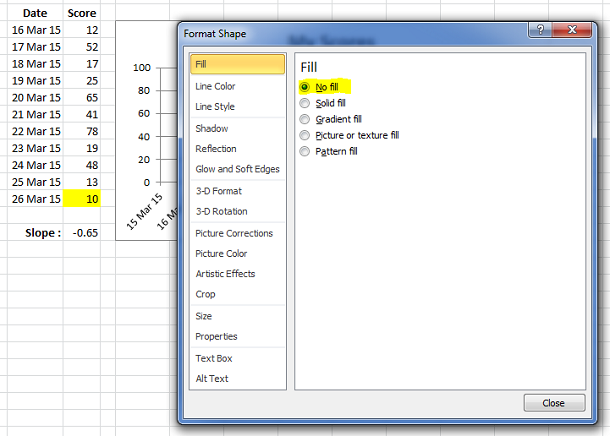 Note: The use of Alt forces Excel to Snap the object onto the cell edges and lock it there, so that when the column width or row height changes, the Chart will resize with it. 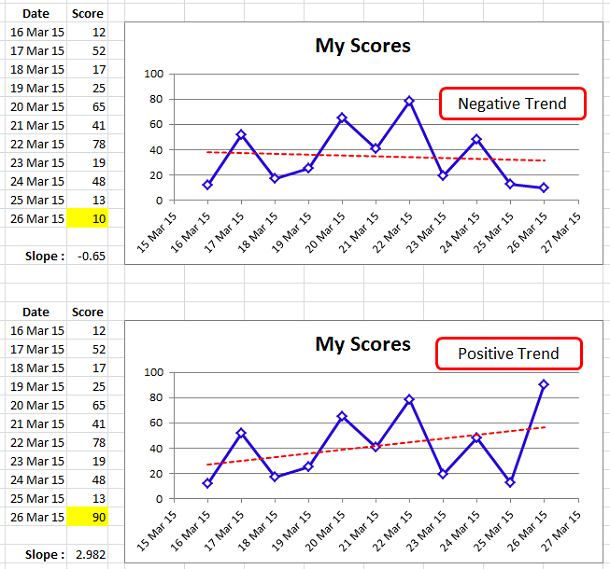 We can see that the chart area has no color in the above picture as we can see the Grid Lines through the Chart Area. Select the range E3:L15 (You won’t be able to use a mouse) or drag the chart out of the way first. What do you think of these techniques? Very good post Sir, I had never seen Charts with CF before. 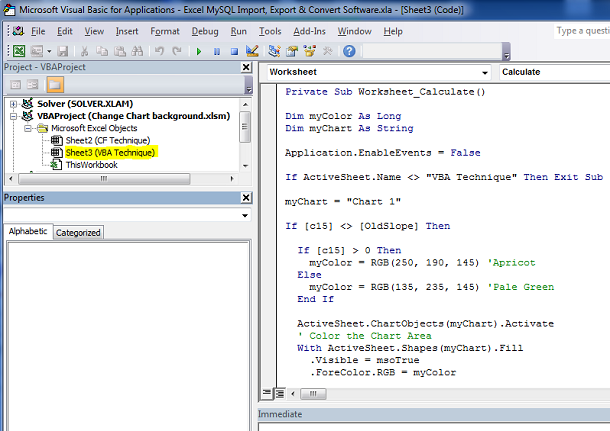 I have download the file, I am using 2007, and the chart on "VBA Technique" is not changing color while updating the values of Col C.
I am not getting what I am doing wrong. It worked after i followed your instruction for immediate window.. 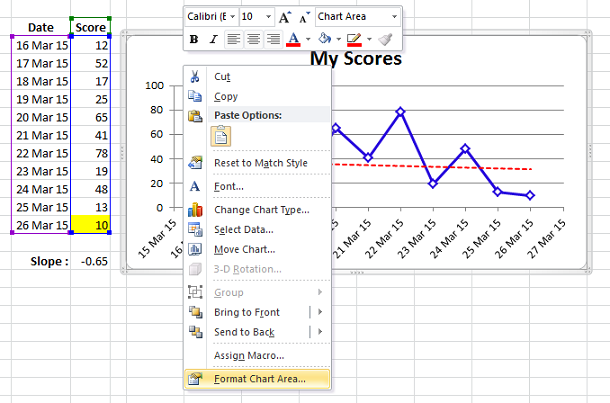 Using two cumulative Column Charts with different colors only allows the Plot Area to be controlled , not the Chart Area. Excellent, also i need some guide lines to prepare dynamic chart like this one http://www.eia.gov/forecasts/steo/realprices/ , check on the range selectors on the scroll bar. i need to to keep my historical data ( past 8 years) summarized and this way it would be helpful. Please attach a sample file to allow a more specific answer. I was about to suggest copying the ranges and inserting it as a linked image- that way it is resizable -to a point- and acts as one object with the conditional formatting -when moving, resizing, etc. 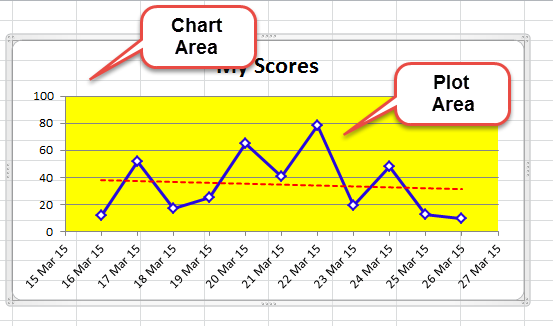 On chart at top of this page there is a chart with plot area of 5 rows. Want to conditionally format each row based on a number in the source sheet it self. Hop to modify above code.